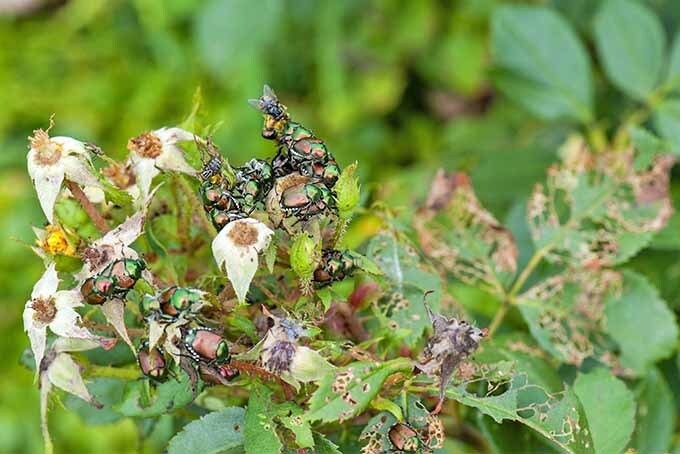 It just isn’t summer in the northeast without Japanese beetles (Popillia japonica) tearing through raspberries, roses, and other plants gardeners tend to hold near and dear. Their voracious appetite is matched in intensity with an innate difficulty to exterminate, or even to repel. 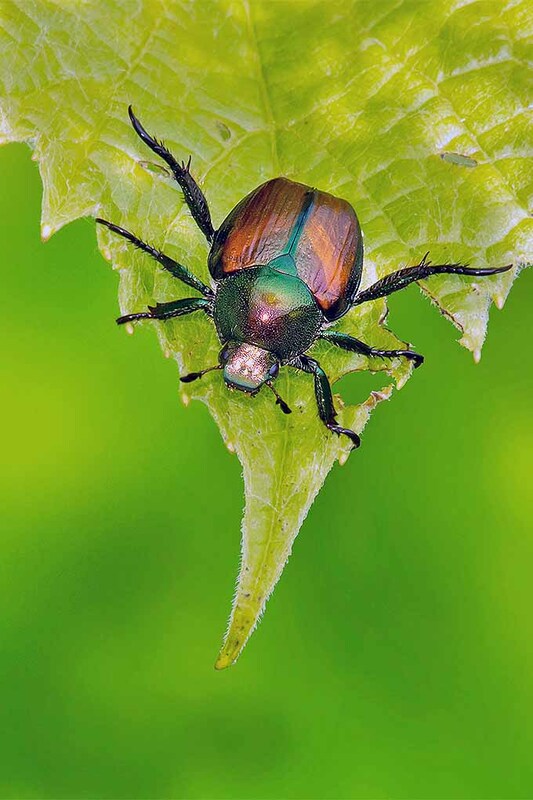 They’re a problem for gardeners of every level, and their constant westward expansion means the Japanese beetle won’t be a predominantly East Coast problem for long. Japanese beetle eating its fill of a rose leaf. This applies quite well to Japanese beetles. 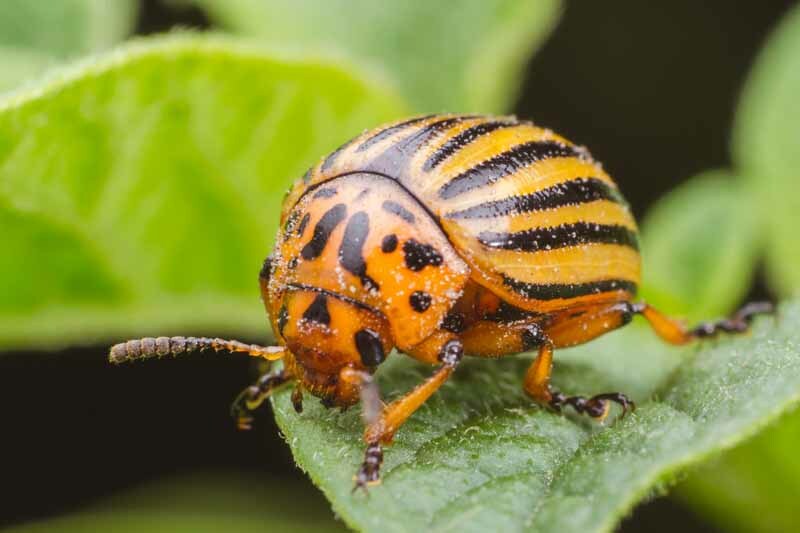 There are no guaranteed ways to eliminate these insects from your garden, but we can take steps to minimize their presence and strive to eliminate it when the beetles show their coppery butts on your rose buds. 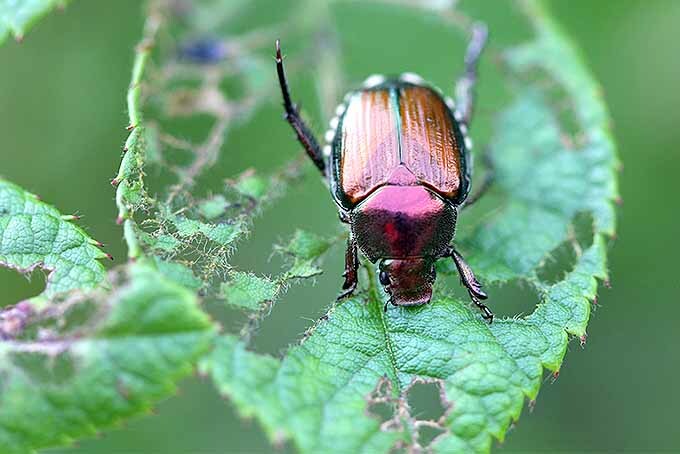 We’ll take a brief look at where Japanese beetles originated in the United States, gain an understanding of their lifecycle, and go over how to prevent and eliminate these pests from your garden. Strap yourself in because we’re goin’ to beetle town. First stop: Riverton, New Jersey. Japanese beetles made their first known appearance in the United States in 1916, in Riverton, New Jersey. However, unlike the bowl-cut Beatles who gave us songs like “Mother Nature’s Son” and “Yesterday,” these beetles were an unwelcome addition to the area. The Japanese beetle likely arrived in the US in the soil of potted Japanese iris. 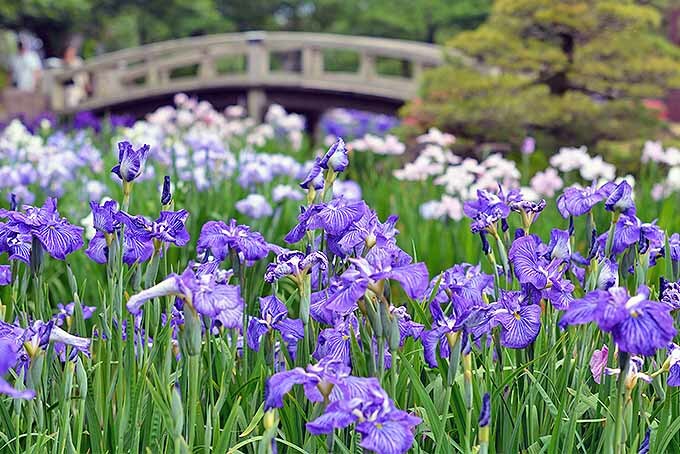 The best guess for their actual origin in the United States was that they were hiding inside of a shipment of Japanese iris. A few years under the radar is all it took to establish a breeding population. Authorities attempted to control and eradicate these pests, but by 1920, the efforts and associated programs were given up. Agreeable weather, no natural predators, and a limitless supply of irrigated turf provided a haven for this invader. The combination of these three factors explains how they’ve established such a firm foothold in the US, and why they cost half a billion dollars a year in prevention and management programs. For a creature that spends the vast majority of its life underground, these pests cause a tremendous amount of damage. That’s because every stage of their life curses them with bottomless hunger. The lifecycle of a bark beetle, very similar to what a Japanese beetle undergoes. Let’s start by looking at the most commonly sighted phase of their lifcycle: the adult beetle. Admittedly an attractive insect, Japanese beetles reach a length of up to one-half inch and can easily fit on the top of a penny. They have a coppery-bronze set of wings, a brilliant emerald green head, and a nice smattering of whites and blacks to round out their color palette. We often spot these guys on some of our favorite summertime plants, like roses and raspberries. It’s uncommon to spot a single beetle because mature specimens emit a sort of attractant pheromone when they’re eating. When others of their ilk catch wind of it, they flock to the source and proceed to feast. The tattered remains of rose petals. The individual beetle does a relatively minor amount of damage, but when one eats, others will inevitably be drawn to the pheromones. It is in these mass quantities that the real damage is done. The adult phase of the lifecycle lasts for about thirty to fifty days. That’s why there’s often a massive swarm of the things where there was nothing only a few days earlier. They need to eat, reproduce, eat, and reproduce again, as many times as possible, in that brief window. The beetles crowd together and cause damage in numbers. Northern states on the East Coast including New York and Massachusetts tend to see this sudden surge begin in June or early July. More southern states like Georgia and North Carolina will spot the beetles amassing as early as mid-May. The females will fly to an area of turf grass and lay an average of three eggs a few inches into the soil. They can repeat this process every twenty-four hours. Once the eggs are laid and are given time to hatch, the next lifecycle begins. You know those big dead patches in your lawn, the ones where the grass is browning out? 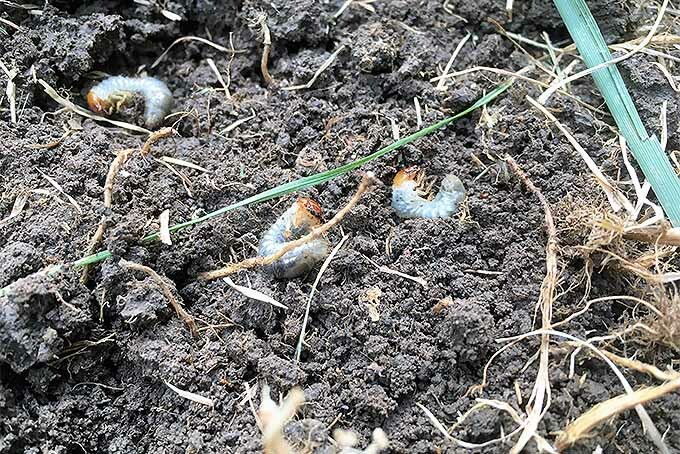 If you live on the Eastern Seaboard and you were to cut a square-foot section in the turf and roll it back like a carpet, chances are you’d find an assortment of grubs in the top few inches of the soil. And a good number of these are the grubs of the Japanese beetle. The grub lifecycle lasts for about ten months. These greedy guys will munch on grass roots and tend to cause those big brown patches in your yard. They thrive in well-watered terrain but will dig themselves deeper into the soil during times of drought. The grub phase as seen in its incubatory soil. During the winter months, the grubs will typically dig themselves into the soil to wait out the cold. 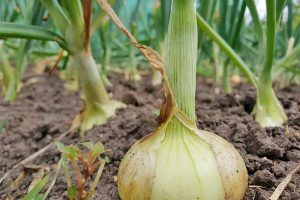 They’ve been observed to dig themselves as far as a foot into the soil during these cold spells. They don’t do much damage throughout this brief stage, but just you wait until spring. When the weather warms up, these babies will perk right up and burrow their way to the roots of your lawn, munching away. They cause no small amount of damage to turf at this point, as they prepare themselves for their change to adulthood. They’ll emerge from the soil and start the lifecycle all over again. I’ve got some in-laws I don’t care for (who doesn’t?). They’ve got bland taste buds; boiled potatoes and cabbage with a sprinkle of pepper is the limit for what they will tolerate. So, my trick for minimizing their dinner visits is to revisit my favorite Central American recipes and cook up a spicy meal so hot it’ll make their heads spin. I kid, I kid. Hopefully that got a bit of a groan or maybe even a chuckle out of you. But the premise is solid for how to deter damage from Japanese beetles: don’t plant what they want to eat. There we go! Problem solved, right? Wrong! The situation with these guys is that they have an incredibly diverse selection of plants they want to eat. 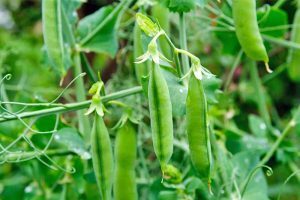 Seriously, it’s a list of over two hundred different species, and most of the items on their menu are our favorite and most valued plantings. Below you’ll see a generalized list of plants Japanese beetles prefer paired with an offering of plants they tend to stay away from. In my experience, I’ve seen more damage done to roses, raspberries, and fruit-producing trees than anything else. The individual beetle doesn’t consume a gross amount of vegetation. It is when groups of the things start to pile up on those delicate rosebuds and delicious raspberries that the real damage is done. The beetles will eat only the leafy green bits and leave the leaves skeletonized. As for turf, the grubs will tear apart the roots of your lawn and leave vast swaths of brown and dead turf to repair. Every stage in the lives of these insects is destructive. 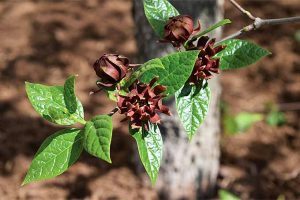 So, some of our favorite and most useful plants are also highly favored by Japanese beetles – sounds like they’ve got good taste. But what can we do to limit their damage, short of altering the entire landscape? 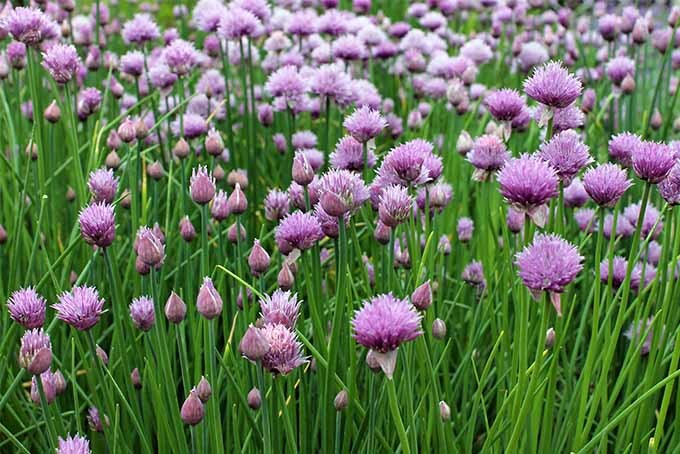 Fortunately, there are a few easy, low-impact methods we can employ to protect our gardens. 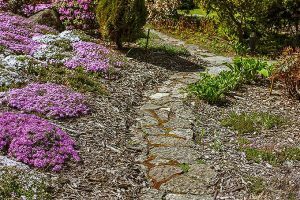 In addition to selecting plants that are generally avoided by the bugs, we can help to make our lawns unappealing and inhospitable during the grub stage of their lifecycle. Female beetles are drawn to well-irrigated turf to deposit their eggs, and the grubs happily chew up the roots of our nice, green lawns. 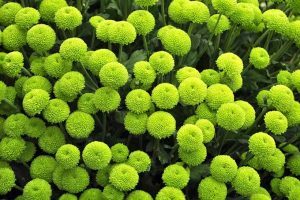 As touched upon earlier, America’s obsession with a vibrantly green and thick lawn has provided the perfect nursery for these invasive pests. One of the most effective methods for limiting future generations of the pest is to limit how often you water your lawn. When amassed and in the morning hours, simply pick up or shake the beetles into soapy water. This is also advantageous in other ways. Many areas in California and Washington state are promoting the slogan “Brown is the new green” in an effort to minimize water use in drought-stricken areas. By allowing our lawns to go dry we are minimizing our water usage, and making the landscape far less attractive to Japanese beetles. For those who simply don’t want to let their lawn go dry, consider letting it go high instead! 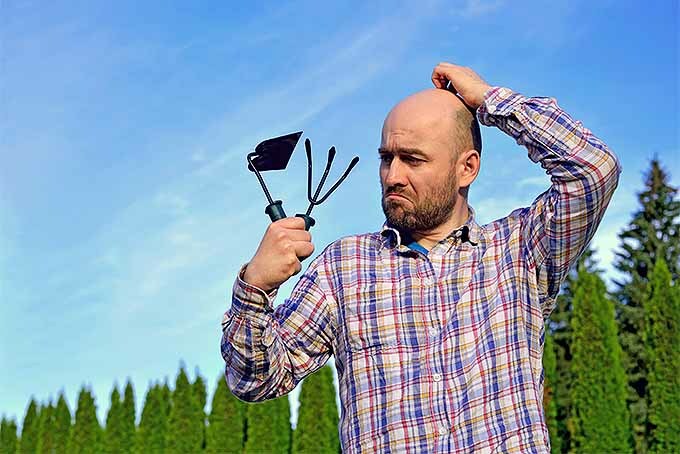 Mike McGrath of the You Bet Your Garden radio show suggests that allowing your lawn to stay at a height of about three inches, coupled with no watering during dry spells, can prevent the female beetles from laying eggs in the soil. Take care, and be aware that there’s a difference between letting your yard go dead, and minimizing your water use. We have an excellent feature on xeriscaping that explains this process very well. Because of the mobility of these pests, it’s difficult to truly control them without applying nasty chemicals. 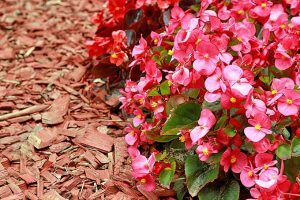 The homeowner needs to spray everything the beetles eat, or apply granules to the lawn over large areas including trees, roses and other types of perennials, and fruits and vegetables. Even the pheromone traps often seen for sale tend to do more harm than good, by attracting the beetles to a new area. 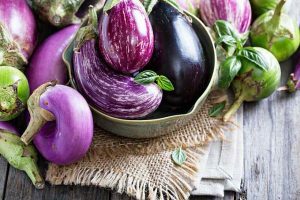 On top of that, the chemicals tend to be indiscriminate in their range of damage, doing harm to beneficial pollinators like honeybees and the friendly aphid-destroying ladybug. 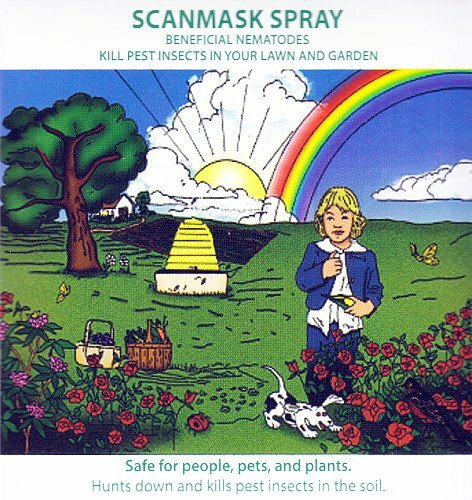 The most effective method of taking care of an insect infestation is to mix up a batch of homemade insecticidal soap. A ratio of two tablespoons of dish soap to one gallon of water yields good results. In the morning, while the insects are still languid and relatively inactive, manually pick them up and drop them into the water. If you don’t want to touch them, you can tap the leaves of whatever plants they’re hanging out on and watch them drop into the water instead. This can be a time consuming practice but it yields the best results. 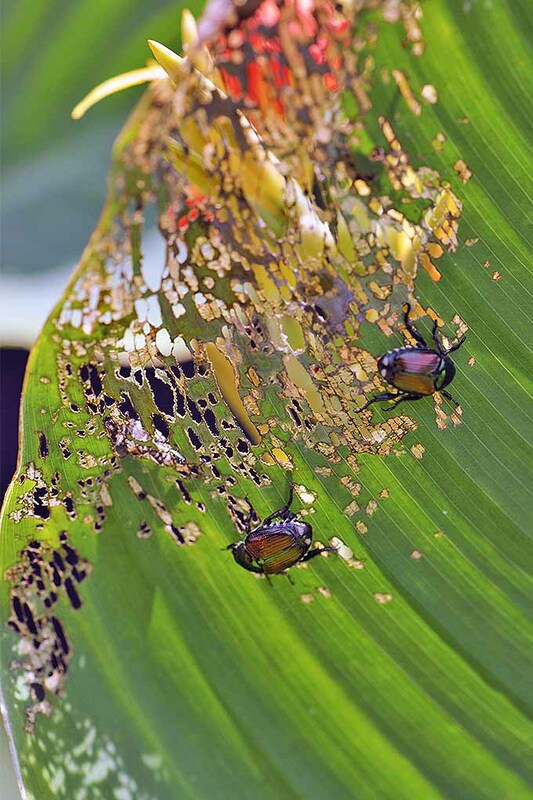 The beetle is just one of several factors adversely affecting this plant. Consider that a few common backyard species will feed on the beetles, including European starlings, spiders, and assassin bugs. They don’t seem to typically do enough to significantly help the problem, but they have been observed eating the beetles. My uncle has chickens and he tells me that he lets them run wild through the raspberries. They absolutely love eating the Japanese beetles. Must be a chicken delicacy. 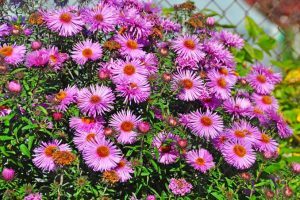 Another great option for taking care of Japanese beetles (and an assortment of other pests like sawfly caterpillars and grasshoppers) is introducing a parasitic fly or wasp. 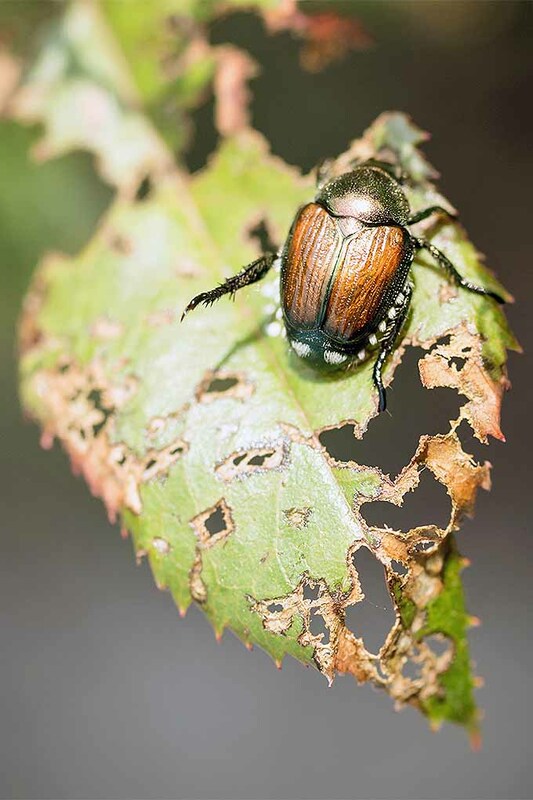 The Spring Tiphia is a Chinese native introduced to the United States to combat Japanese beetles. The wasp will hunt down and lay its eggs on the grub. The wasp eggs hatch and eat the grub from the inside out. Tachinid flies have a similar habit, except that they find adult Japanese beetles and lay their eggs on the insect itself. There are a variety of other methods by which these flies deposit their eggs, but the important part is that they kill these pests. 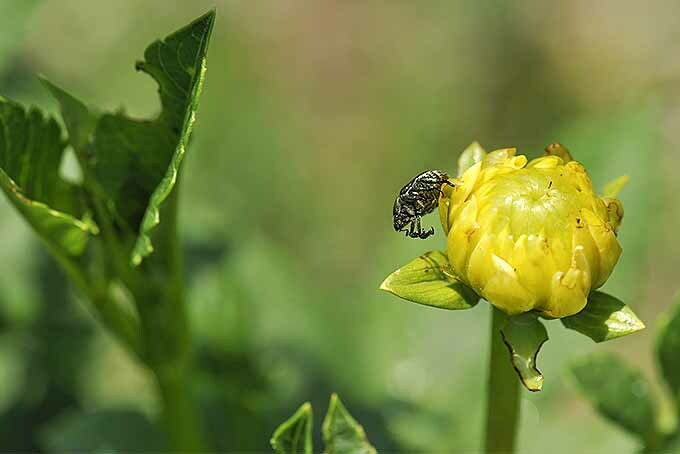 The Spring Tiphia is attracted to flowers such as forsythia and peonies, while the Tachinid fly is attracted to large, flat masses of florets like you’d see on Queen Anne’s lace, cilantro, buckwheat, and clover. 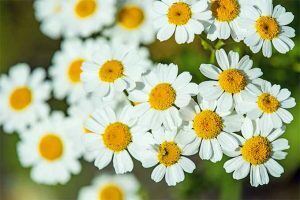 Establishing these plants is an excellent method for attracting beneficial insects to your garden and your yard. A foolish Japanese beetle on a dahlia bud, one of the plants known to attract beneficial parasitic insects. Ever see a skunk nosing its way through your yard? It might be making a mess, but it’s also eating up those nasty grubs. Sometimes it’s worthwhile to take a small hit on your turf in exchange for a reduced beetle population. Moles are similarly inclined to devour grubs, but will also leave tell-tale trails around your yard. Fortunately, the moles don’t bother plants and are single-mindedly hunting for grubs and the like. If you allow the moles to eat their fill of grubs until it’s no longer a problem, you can then easily repel them from your lawn. Mix a solution of about 1/2 cup castor oil and 1/2 cup concentrated dish soap. 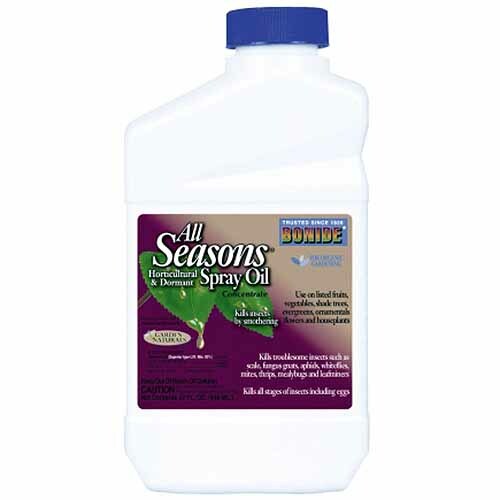 Mix about 3 tablespoons of the mixture into one gallon of water in a bucket or watering can. Sprinkle the areas of your yard where you don’t want moles to go, and they should be readily deterred. Easy! 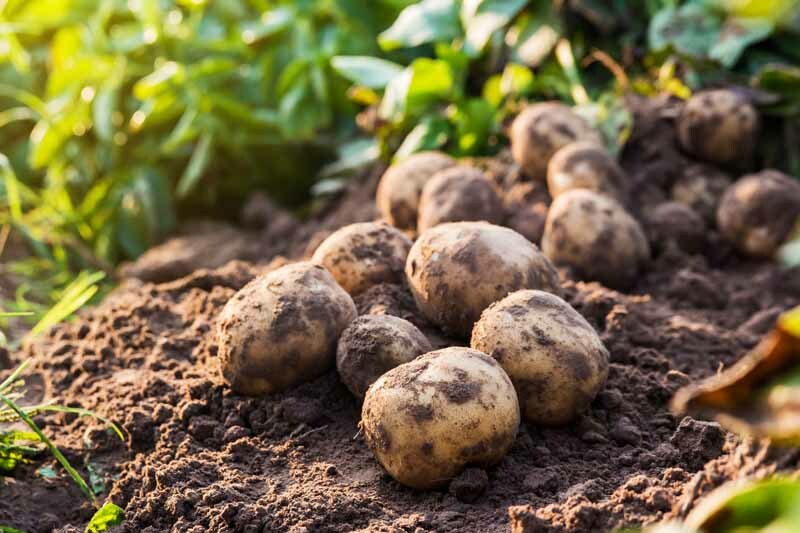 There are a few additional biological methods to employ when combating grubs: milky spore disease, and beneficial nematodes. 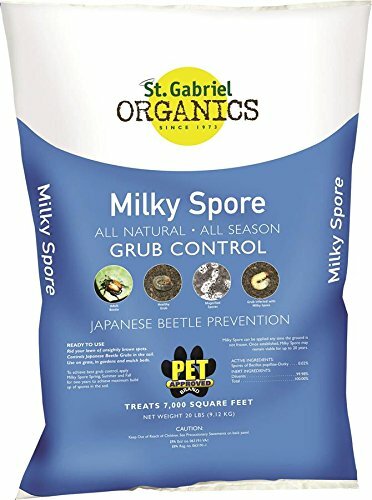 Applied as a dust to your lawn, milky spore is an ingested bacteria that only damages Japanese beetle grubs and larvae. It contains a bacteria that will eventually kill the grubs, then be dispersed back into the soil. 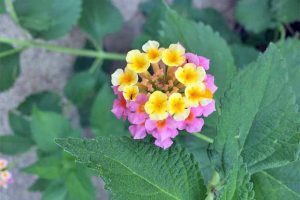 It’s a highly-focused bacteria that is safe to use around animals, children, well water, and pretty much anything except Japanese beetle larvae. In the case of nematodes, not all types are destructive. 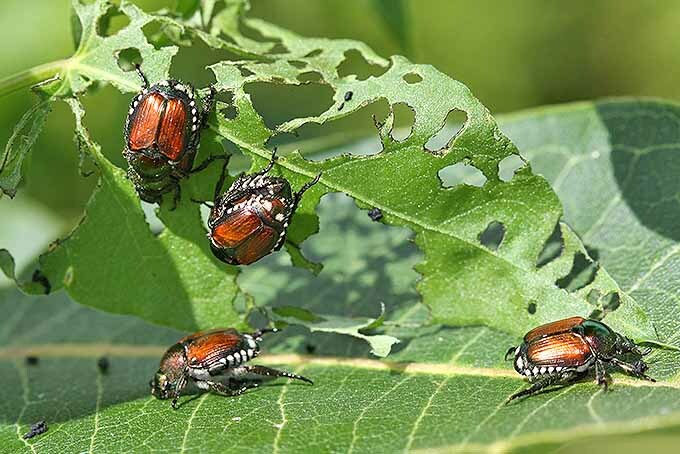 Some of them can help improve soil quality and keep grubs down to a manageable level, Japanese beetles and other species. They’re also readily available for purchase on Amazon. 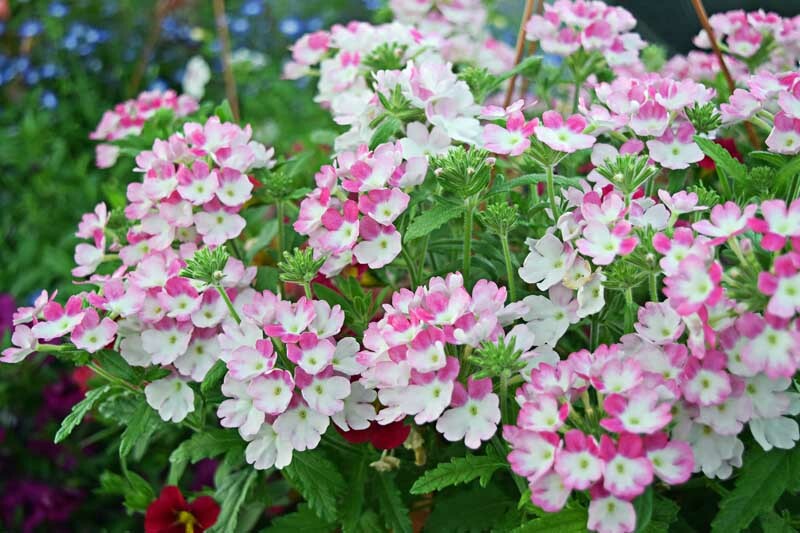 For best results, add these babies to water and spray into the soil. As a last resort, we can use various chemicals to control this pest. Always make sure to wear proper safety attire when using any chemical control. And most importantly, READ THE LABEL to ensure you are using the product as directed. 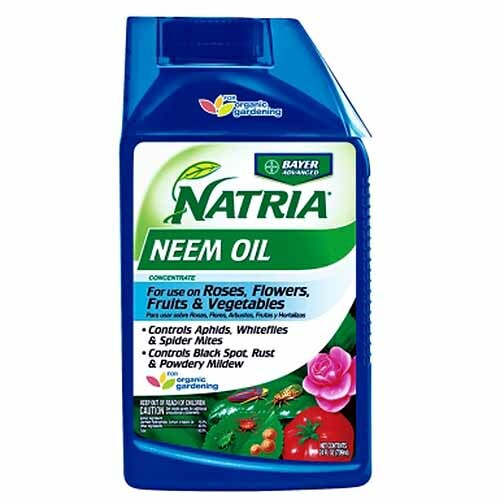 Neem oil and horticultural oils are effective when dealing with adult insects. Many act as an obstruction to feeding so that insects can’t eat, or have difficult eating the treated plant. They are also less damaging to the environment than many other solutions. 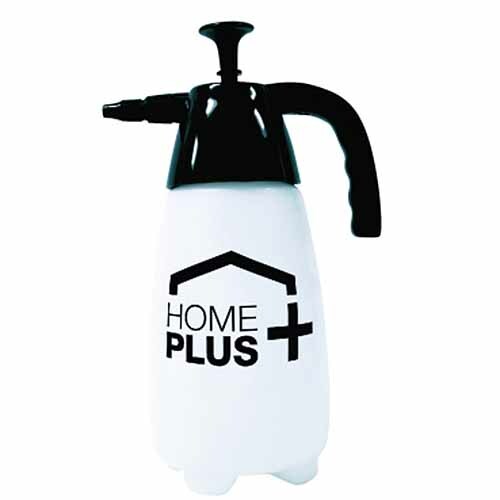 Although these products are usually available in a pre-mixed solution, you can also buy a concentrate that you add to water and apply with your own sprayer. 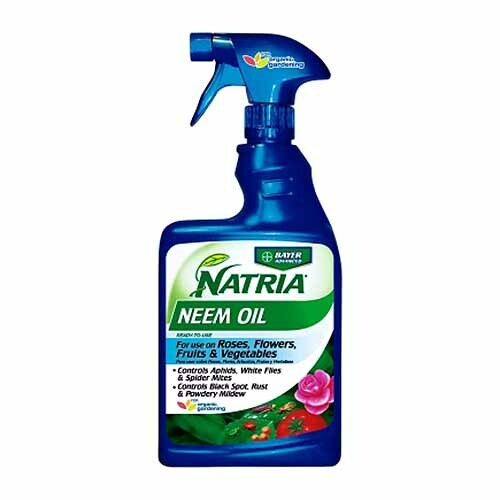 With something like neem oil, regular applications are more effective. 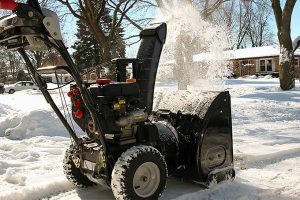 Buying the Neem concentrate or the horticultural oil concentrate and a handheld sprayer is usually the best route to take, in terms of future cost savings. 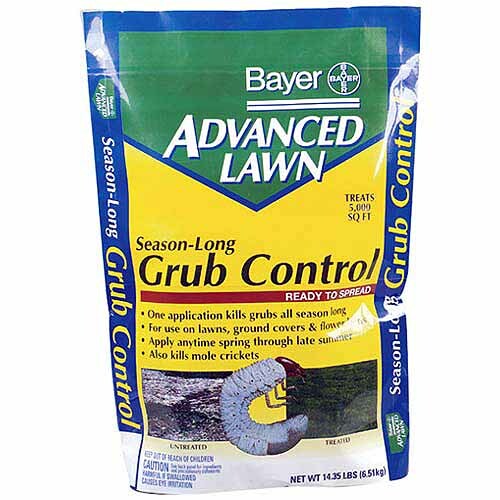 There are also several grub control granular applications you can apply to your lawn. 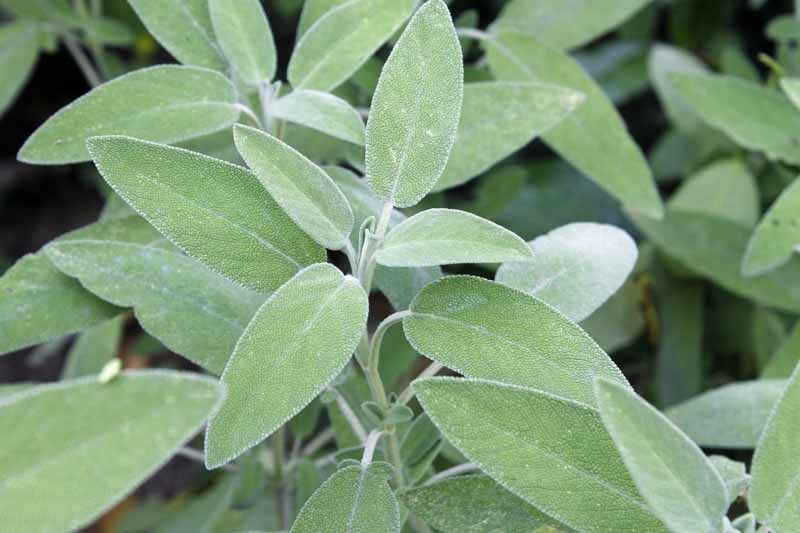 Bayer makes a popular product that is available from ACE Hardware. But be sure to rely on chemicals as a last resort. Before you use it, check your lawn to see if grub control is even needed. 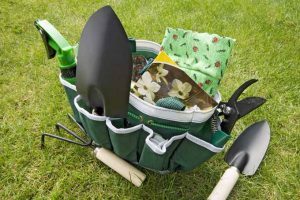 With a good soil knife or a spade, you are going to inspect the ground beneath your lawn. Find a section of the lawn where you can remove a square-foot piece of turf. Sift through the soil and see if you find any grubs. If you find less than six grubs per square foot, there is no need to chemically treat the soil. More than six, and you’ve got grounds for using granules. 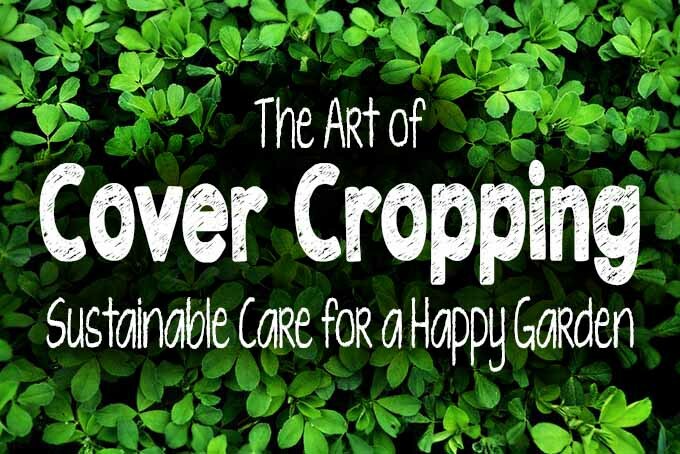 Read our tips for repairing dead patches in your lawn, and our feature on maintaining a healthy lawn if you have that rolling green carpet already and want to keep it going strong! Retailers also sell those Japanese beetle traps designed to attract the bugs and catch them in a nice bag. As we now know, the beetles are attracted to the pheromone inside of this trap and will quickly swarm to the source point, but not necessarily the trap itself. Add to this a range of about one mile traveled per beetle and you’ve got a recipe for an infestation. The only place to use these traps is in rural areas, and only when you can place them about a quarter mile away from your garden. Is Your Skin Itchy Yet, Talking About These Bugs? I’m as soft-hearted as they come, and have a difficult time killing even problem insects. I usually make it through a few dozen Japanese beetles before deciding I’ve killed enough and will let nature take its course. This mindset isn’t for everyone, but it’s good to keep your measure of acceptable loss in mind. 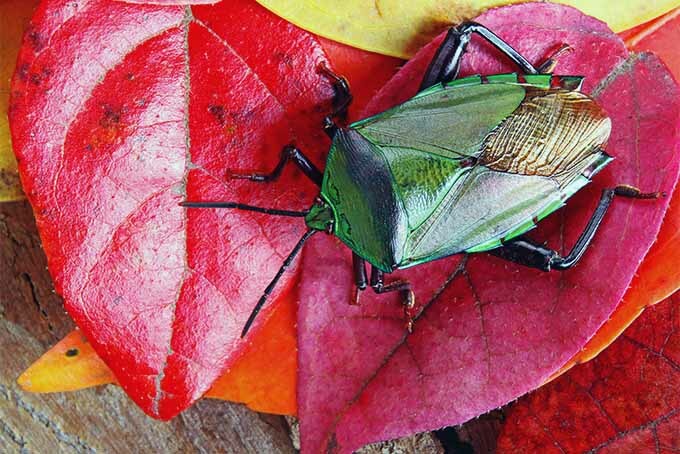 These bugs can cause a ton of damage and should be outright banned from gardens… but they aren’t. Like it or not, they’re here to stay. We can do our best to minimize the damage they cause and prevent their populations from growing in the first place. But if there’s one thing gardeners know, it’s that we’re all part of the same garden. Our efforts at cleaning house may be an exercise in frustration, but it’s also an opportunity to make peace with what is out of our control – even those pesky Japanese beetles have a place in the story. 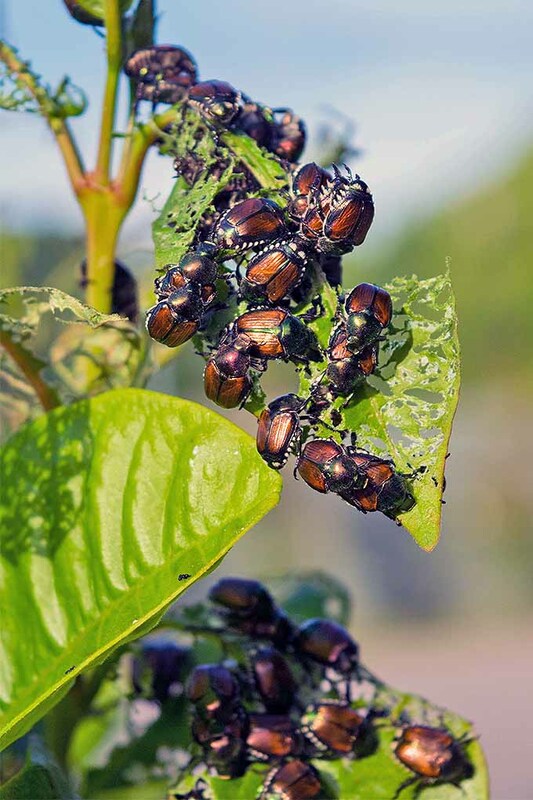 Have any custom tricks for getting rid of Japanese beetles? Maybe you’ve got a story to share about losing all of your delicious plums! Tell us about it in the comments – we’d love to read all about it! 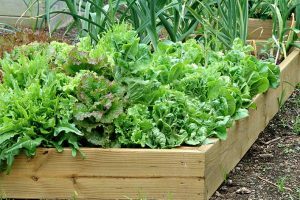 And for more on ridding your garden of common pests, be sure to check out more of our articles on the topic. Product photos via St. Gabriel Organics, Orcon, and ACE Hardware. Uncredited photos: Shutterstock. love what i have read so far….AND Matt sounds like a great guy…. interesting for sure….and knowledgeable!!! i’m trying to learn everything (lol) especially those dang japanese beetles !!!!!!!!! Thanks for the kindness and compliments, Catherine! 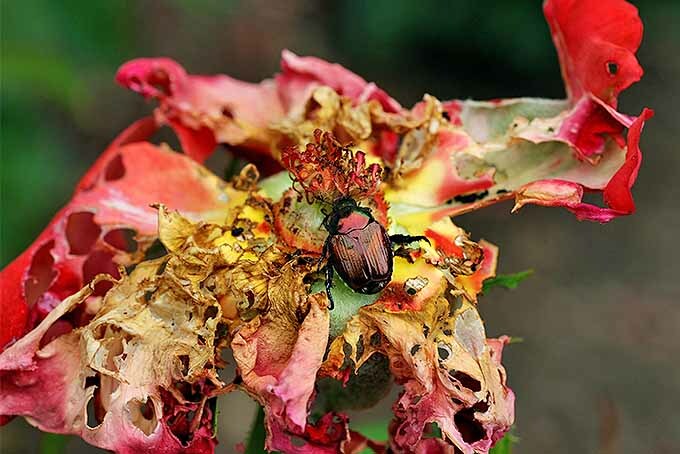 Japanese beetles are a headache for just about everybody, but tenacity and the right approach can help to minimize their damage. Thanks for sharing, and for reading!